After the most popular Trezor and Ledger hardware wallets, a new wallet named “Bitfi Wallet” has been introduced by John McAfee, a renowned cyber security expert and Bitfi, one of the most influential US based global payments technology company.Prior to the launch of this ‘Unhackable’ wallet, other hardware wallets like Trezor and Ledger have been the leading hardware wallets with outstanding technology . The Bitfi wallet termed as “un-hackable”, that went on sale on 28th of June in the market as its first batch and amazingly was sold out in just 22 minutes. The wallet seems to be on high demand as there are tons of tweets from the public requesting a restock. While McAfee seems to have enough in stock, revealing in another tweet that the wallet will be back on sale again. He’s has also expressed his certainty that the wallet will be sold out again. Bitfi is a hardware wallet that offers comparatively higher security than any other storage type (also cold storage). Here, users are not required to bother about any technical skill, download any app or any type of installations to set up. Once the wallet is set up, the device automatically receives the latest software updates. Unlike popular cryptocurrency hardware devices such as Trezor or Ledger Nano S, the Bitfi (with Knox features integrated) wallets DO NOT store the user's private keys in the hardware making it safer from online attack. Even if the device may be seized, lost or stolen, the private keys cannot be retrieved as there aren’t any keys stored on the device. Therefore, funds always remain completely safe. A user can just order a new device and continue to use his original secret phrase or use Bitfi open source code to retrieve his private keys in addition to accessing his funds. Bitfi hardware wallet supports an unlimited number of digital assets and most importantly Knox feature integrated into their hardware wallet being launched with support for Monero (XMR) that has been missing in any hardware wallet till now. Unlike most cryptocurrency wallets including Ledger and Trazor where a 24 word key is required to access funds, Bitfi wallet gives a user the freedom to make a long unique phrase they can easily remember . Users can have access to the wallet using a secret phrase (created by the user) which does not have to be stored on any hardware or software. I read your whole blog. This will be useful to me. Nice wallet i have also heard about it. 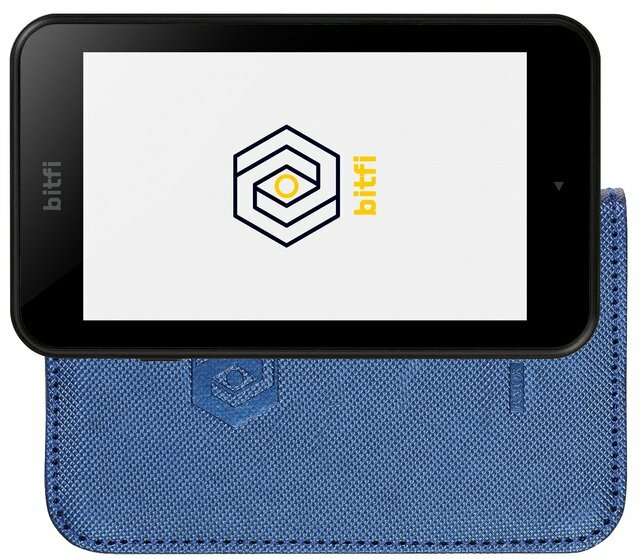 sarthakgupta what is the cost of this Bitfi wallet? useful for the people with big amount of cryptocurrency. Nice blog, may i know about the purchasing price of this wallet? I also have it from the beginning. I am very happy with the BitFi Wallet and all his features. It works perfect and without any problem. You can save more "cryptocurrency's" as with Trezor or Legder !! The biggest selling point in my opinion. Greets and Happy Mining !! !